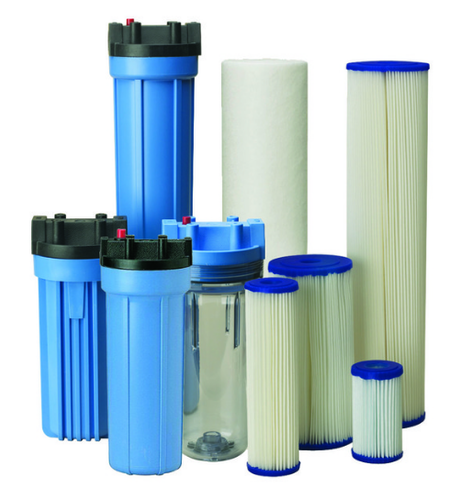 Cartridge filter can be surface or depth-type filter: depth-type filters capture particles and contaminant through the total thickness of the medium, while in surface filters (that are usually made of thin materials like papers, woven wire, cloths) particles are blocked on the surface of the filter. These systems work by pushing water from the pool into the tank. A skimmer collects the larger debris and the secondary basket catches anything that the first one may have missed. The water then passes through the polyester filters, and dirt gets stuck on the screen allowing for clean water to pass by.